Whatever the culprit, there is definitely some ‘magical thinking’ going on in the world when homeowners insist they can control size, quality, layout, design fees, construction costs, project duration – pretty much anything short of the weather. It may seem that I have super powers because I can see through walls to reveal a design solution, but this is not magic. It is evidence of experience and training. It is the hard work. 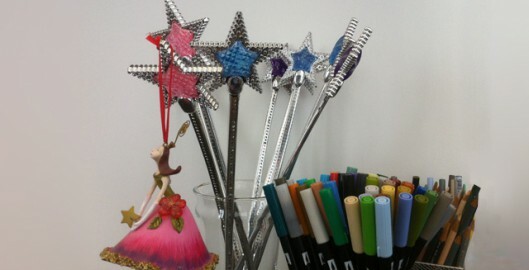 I keep a stash of fairy godmother-type magic wands in my office not because I’m that elusive fairy godmother, but to drive home the point that I am most certainly NOT. Lately I’ve had to tap my wand collection more often as it seems that more and more people are indulging in this mode of magical thinking where they can control every aspect of the home design and get everything for next to nothing in no time. Well, that’s certainly an improvement, but in today’s instant gratification society this reality doesn’t always go over so well. 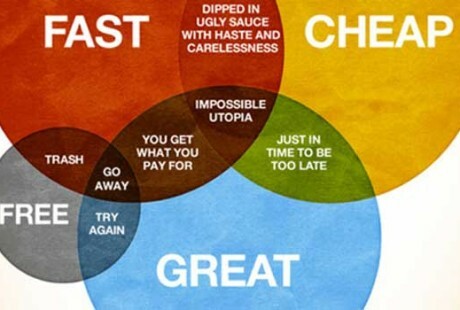 We may not want to admit it, but I believe we do all understand that quality, time and cost are related. I know that on those HGTV shows when a zoning problem arises or a homeowner makes a last minute design change the host always gets a look of consternation – and then turns around and finishes the job on time and budget (clearly Magic wand type stuff!). But saying that’s reality is like saying all models in magazines have flawless skin and perfect bodies. What we don’t see is the frantic producer and team of designers working to remedy that last minute design swap just like we don’t see the graphic designer Photoshop out that model’s seeming imperfections. We want to think it is magic—but what we know is that it is the work that is the reality. The reality is that you must allow flexibility or you will be disappointed with the outcome. For example, if the homeowner decides they want to add another room after the initial concept is finalized or built-ins to the project after the final plans are bid I can’t wave my magic wand and make that happen without thoughtful evaluation. These extra “goodies” will indeed have an impact on the project’s cost (and likely its schedule). Elegant and effective design solutions can’t be achieved by wishing, and they can’t be done magically for no cost. Figuring out all the complexities of a design while making it seem seamless and easy is an investment of time, talent and money. But it will be worth it when the real magic is revealed – through the pleasantness of living your daily life in a well designed home.